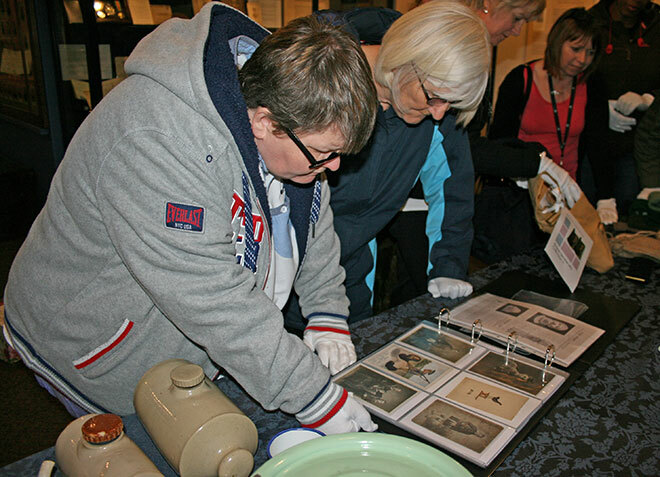 Dumfries Museum hosted a busy learning programme while the Next of Kin exhibition was on display. 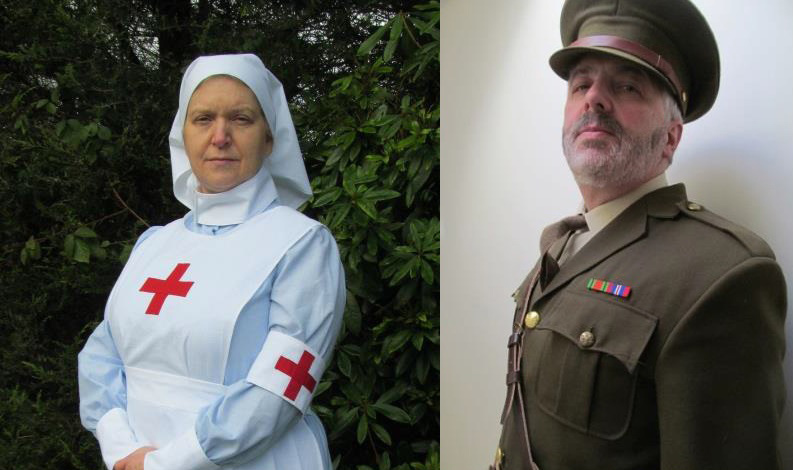 The following activities give an insight into how the project is engaging local audiences with First World War heritage. Gifts and souvenirs made in the trenches. 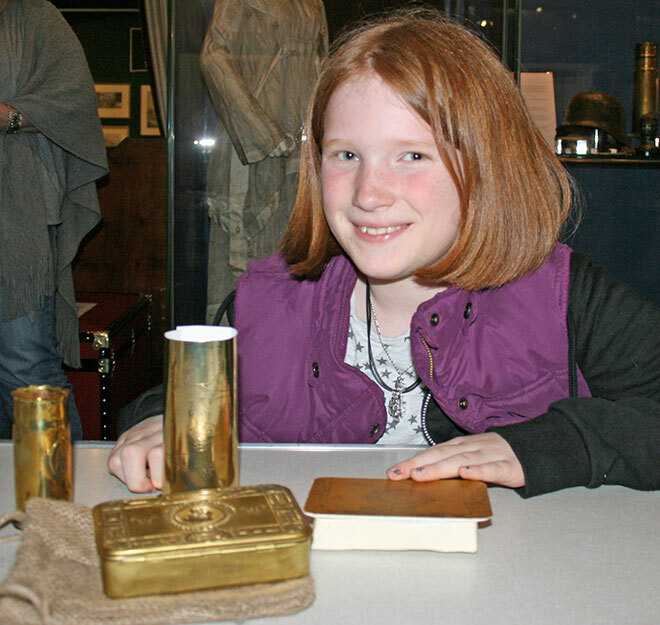 The first drop-in activity at the museum gave family groups an opportunity to explore Princess Mary Tins distributed to British and Commonwealth troops for Christmas 1914. These boxes contained items such as cigarettes, a bullet pencil, chocolate and even spices, for Indian troops. Participants also looked at examples of gifts and souvenirs that soldiers made in the trenches from the materials they could find around them, including used bullets and shell cases. 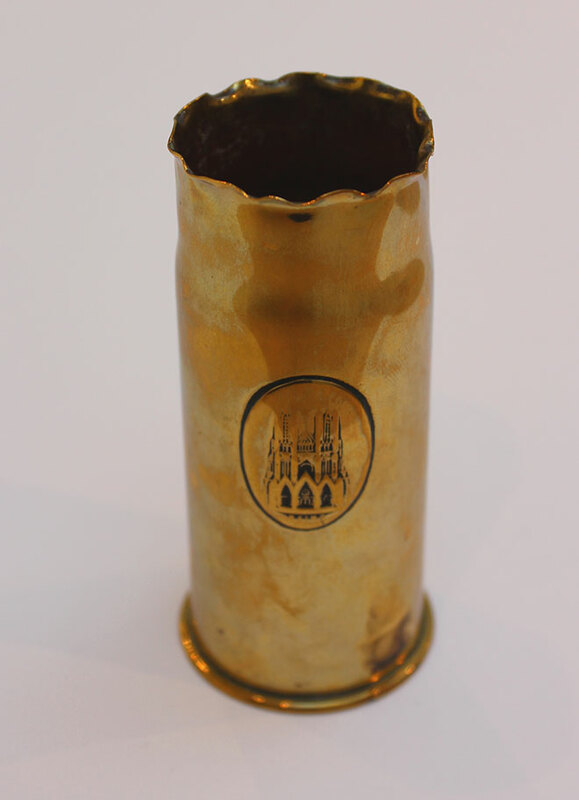 One example in the Next of Kin handling collection is a French 37mm shell made into a flower vase depicting Reims Cathedral. 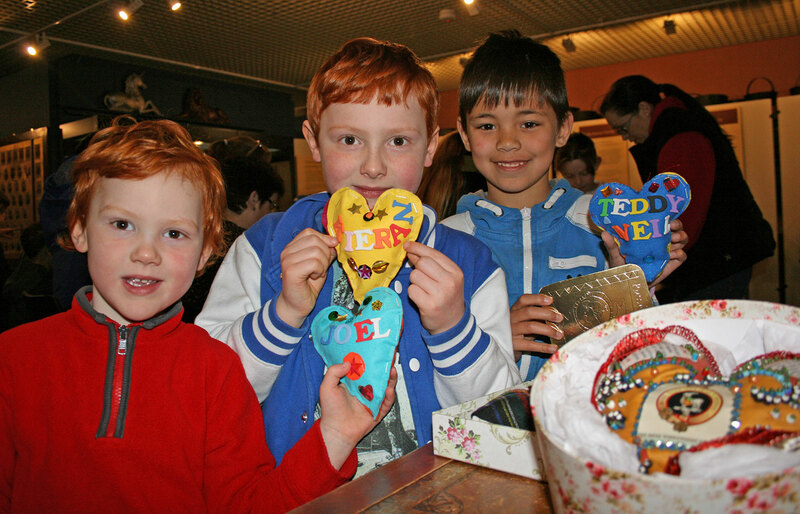 Children also worked with artist Hugh Bryden to make their own piece of trench art. Flower vase made from a French 37mm shell. In a second workshop, family participants examined the sweetheart cushions in the handling collection, which were exchanged between wartime lovers as a token of affection. The stuffed cushions often conveyed messages such as ‘I love you’, ‘I’m thinking of you’ and ‘Don’t forget me’. Children then created their own heart-shaped pincushions or cards, decorating them with a collage of coloured fabrics and sequins. On 28 April Annan ladies’ group Sky’s the Limit visited the exhibition and enjoyed a handling session facilitated by Front of House staff. This was the first time they had visited the museum. For local school groups, 15 workshops run by costumed historical interpreters from Artemis Scotland were offered over five days. Classes visited the exhibition after taking part in interactive sessions providing an insight into First World War recruitment and nursing. Participants met a costumed member of the recruitment committee and local Auxiliary Hospital matron, who showed them how potential recruits were put through their paces. Teachers commented that the children learned about loss of individual identity for soldiers in training, helping them to empathise with the servicemen and women. Costumed interpreters from Artemis Scotland. With the Next of Kin exhibition now at Rozelle House in Ayr, a number of First World War related activities are taking place in South Ayrshire over the next couple of months. Events include a talk about the unique Caribou head on display, handling object and craft activities and further schools workshops by Artemis Scotland. To find out more and get involved, visit the Rozelle House website.